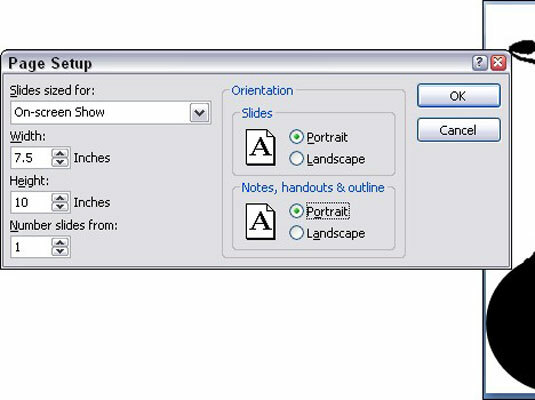 You have to be in the Design mode to make changes to your slide sizes. 2Click the Page Setup button. 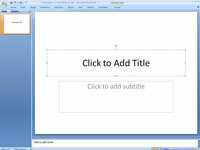 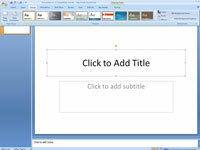 3Click the down-arrow on the Slides Sized For drop-down list and choose an On-Screen Show setting. 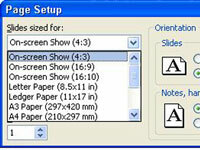 You can choose 4:3, 16:9, or 16:10. 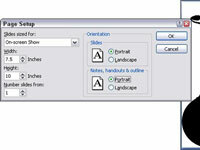 These settings determine the width-to-height ratio of slides when they are displayed at full-screen size during a presentation. 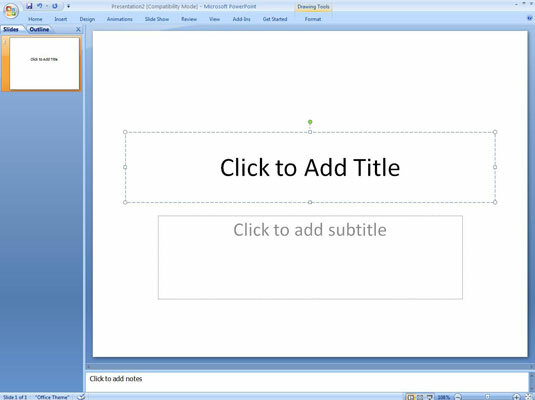 The commands in the Page Setup dialog box apply to all the slides in a presentation. 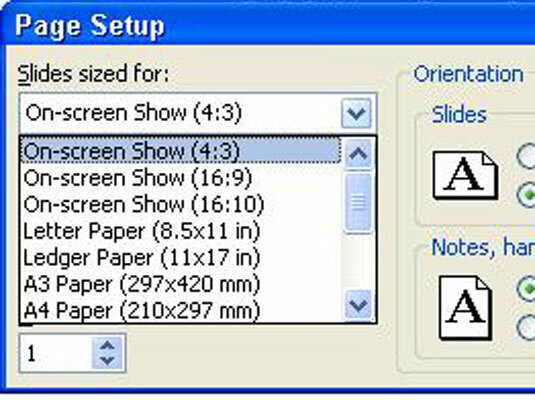 Most of the options on the Slides Sized For drop-down list pertain to printing slides on paper.